Thank goodness we’re on our way our of the dark winter and heading into spring. Not sure about you but the spring always makes us feel like we want a sheer, fresh base with just a pop of floral pink on the lips. A perfect base will make any makeup look amazing but it can be tricky to master. 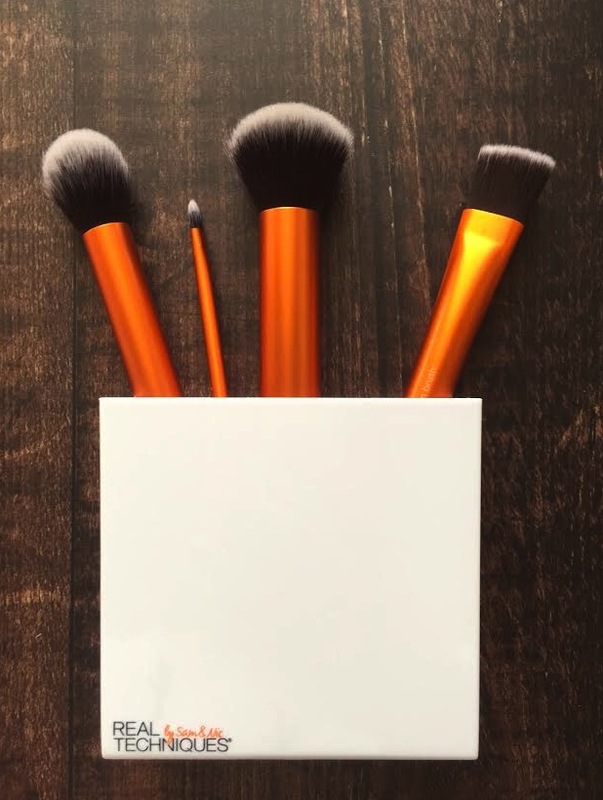 You need a few light layers of differing products to create the illusion of a natural base but most importantly you need a good set of brushes. If skin is your thing then check out the Flawless Base set. It contains 4 brushes, which also come nestled inside a plastic beaker to enable you to stand them at your make up station. The narrow base and fanned out tip of this brush will ensure your foundation can be applied firmly but softly polished into the skin. The curve of the brush hairs will mould to the contours of the face so you can be sure that all product will be buffed away. The firmness of the buffing brush works well with cream, liquid or even powder foundation and will enable all coverage preferences from sheer to full. 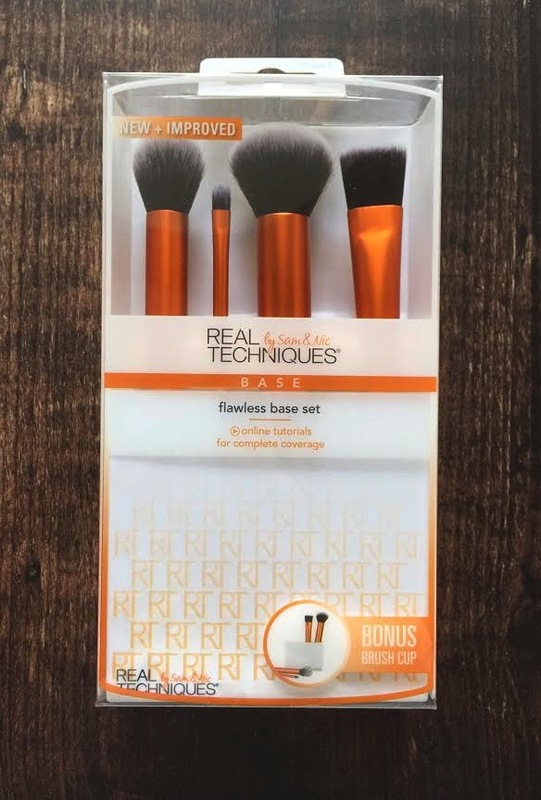 This brush is also perfect at applying fake tan to the face and neck. The domed tip means you can work product under the bone structure of the face. 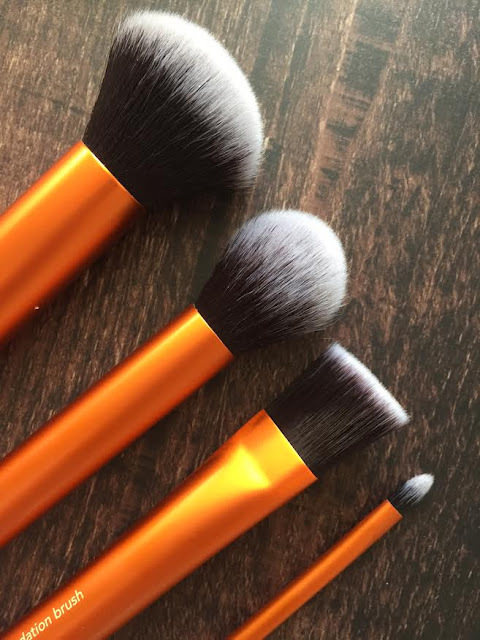 Use the tip of the brush to apply product and the blend the edges away by using the brush at an angle. The longer hairs will coat the skin and the shorter side hairs will act as a softener, ensuring there are no harsh lines. The benefit of the square foundation brush is that you can use it to get in all the hard to reach areas of the face. Use it on its side to get under the crease of the eye or use the squared off edge to get close to the inner eye or nostrils. We also love this brush for applying highlighter. Use the flat of the brush to apply liquid or powder highlighter to the high points of the face and then use the flat tip of the brush to blend. This little brush has so many uses. Apply concealer to specific areas; apply highlighter to small areas such as under the brow or cupid’s bow or even use as a lip brush. It helps to blend out and diffuse a bold lipstick beautifully. The best thing is that these all come in a set together so you never need to make a decision on which brush you should opt for. You can purchase this set for £22.99 here. This set is also currently at a reduced price. Microblading. What is it all about?